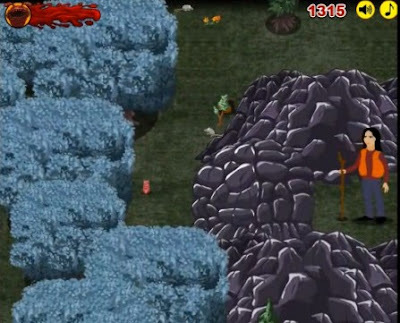 The Visitor Massacre at Camp Happy is another point and click strategy adventure game developed by arcadebomb. The game is based on the hit game by Zeebarf titled "The Visitor". In TV:MaCH, the homicidal death slug is back to bring in more horror this time at Camp Happy. Guide the creature through all 10 levels of forest ground as he destroys everything in his path in search for his favorite meal - the humans. Anyway, if you wonder how to beat all of its levels, you can simply watch these 2 videos here showing The Visitor Massacre at Camp Happy walkthrough courtesy of Mr Tass' awesomeness.